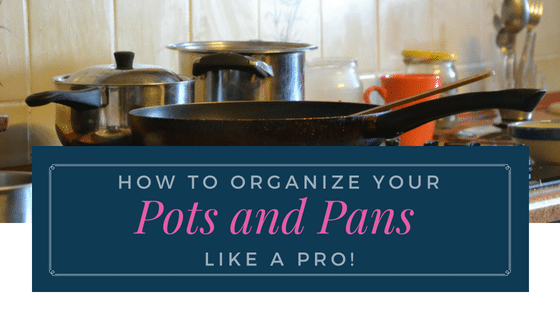 Pots and pans can be a real headache to organize. They’re bulky. They take up a lot of space. And of course, who can’t relate to that experience when you have to “dig” through all those pots and pans just to get the one you need? 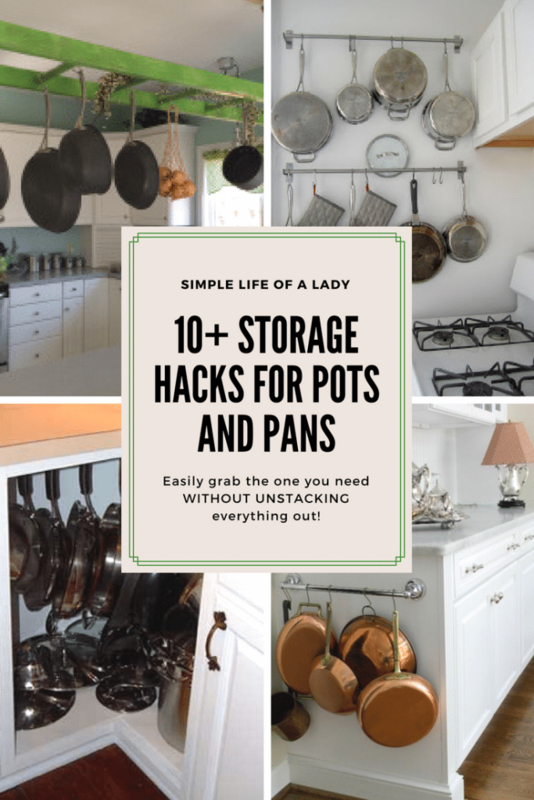 Here is a rundown of at least ten simple storage ideas you can apply today to organize your pots and pans; so you can easily grab the one you need, without having to unstack everything out, only to put everything back in again. 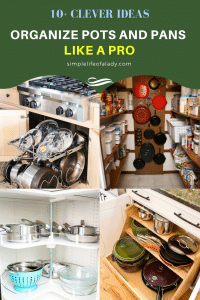 If you have the ceiling height to do it, this trick will free up a lot of counter and cabinet space. You can use a single bar mounted to the ceiling. If you find it expensive, try the Ikea Grundtal rack. 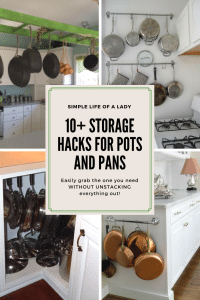 It works just fine holding your pots and pans, but without costing that much. 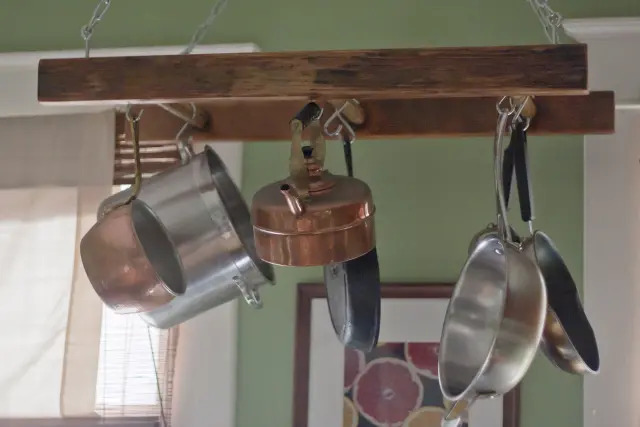 If you love rustic looks, use an old ladder to hang them. You can even have the ladder painted to perfect your style. 2. Hang them on the wall. If you don’t have a lot of overhead space, use the walls. 3. Hang them on the side of your cabinet. 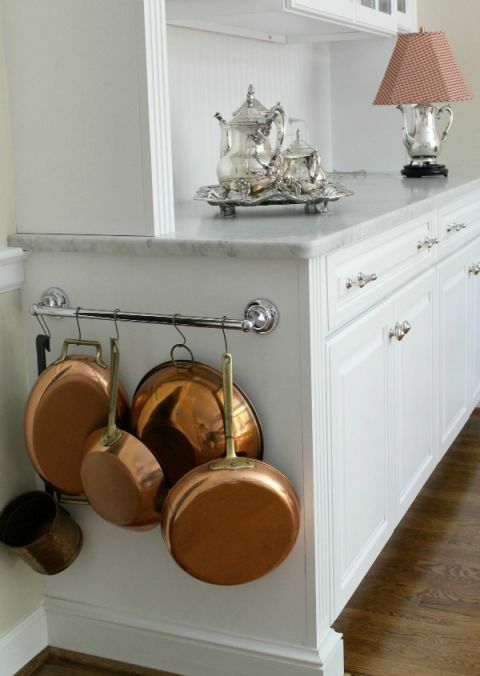 Install a towel bar on the side of your cabinet and get some hooks. 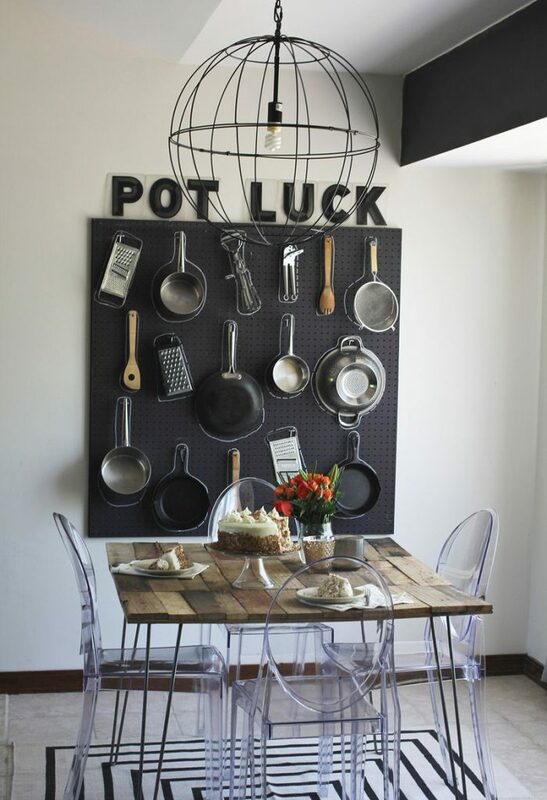 It might not hold your entire collections of pots and pans, but it sure can hold those that you regularly use. 4. Hide them in the cabinet corner. 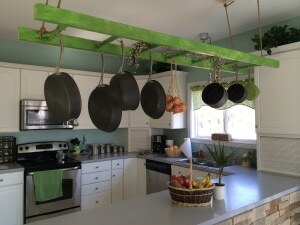 Install large hooks and hang them inside. You can even remove the doors. Or you can install a Lazy Susan and get what you need with a quick spin. 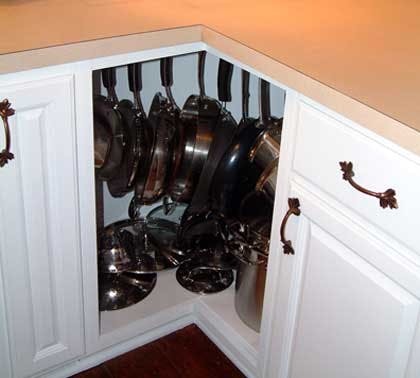 Just remember to position the pots and pans really well so that when you rotate your lazy susan, you don’t end up with the individual handles rotating out and getting stuck in the corner. Hang your pots and pans there. 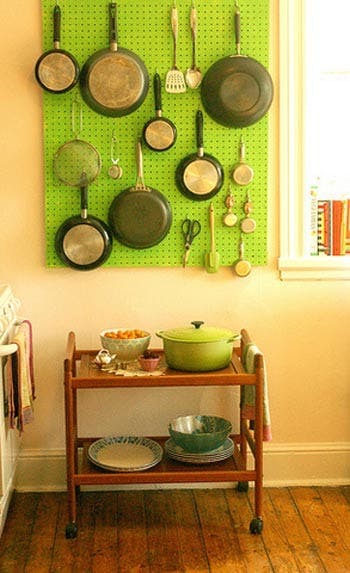 You can even take the pegboard into the dining room and display your pots and pans in plain sight. 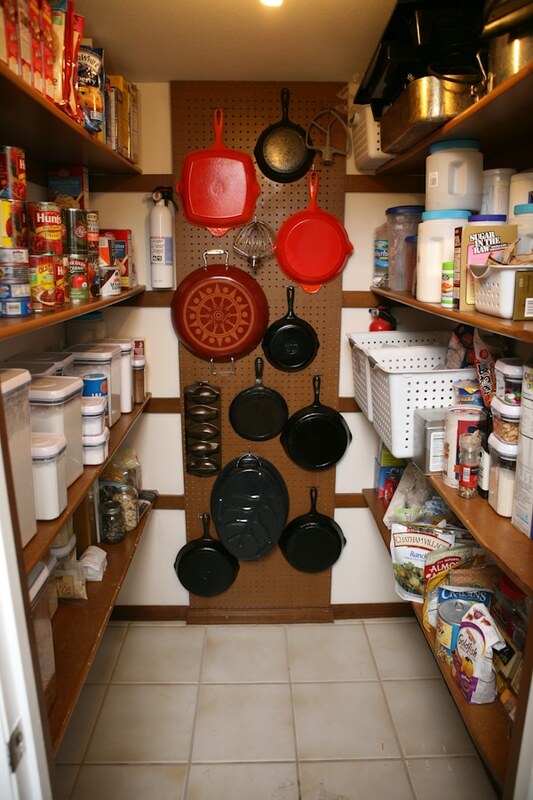 If you want them hidden, take the pegboard into the pantry. 6. Put them inside a drawer. 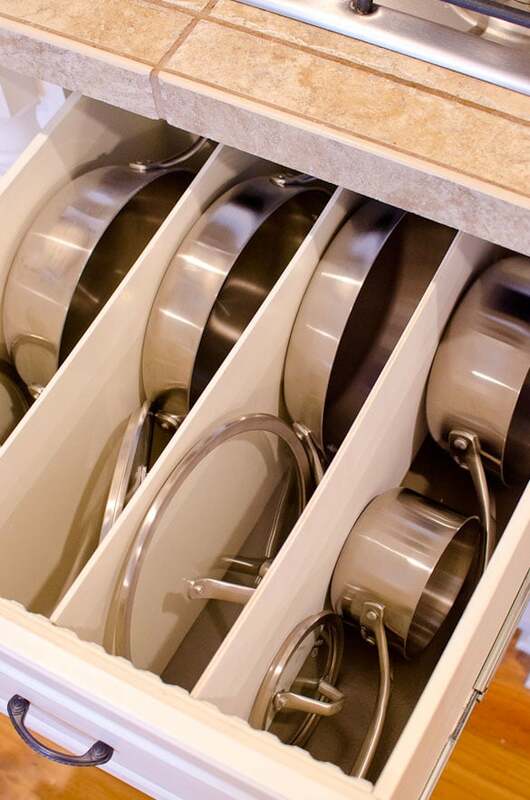 Drawers make your cabinets an easier storage area, ensuring that you maximize every space available. So invest in kitchen drawers. But if you already have a cabinet, you can just install roll out drawers in it. Then arrange the pots and pans accordingly. Even more so, you can use dividers for your drawers. 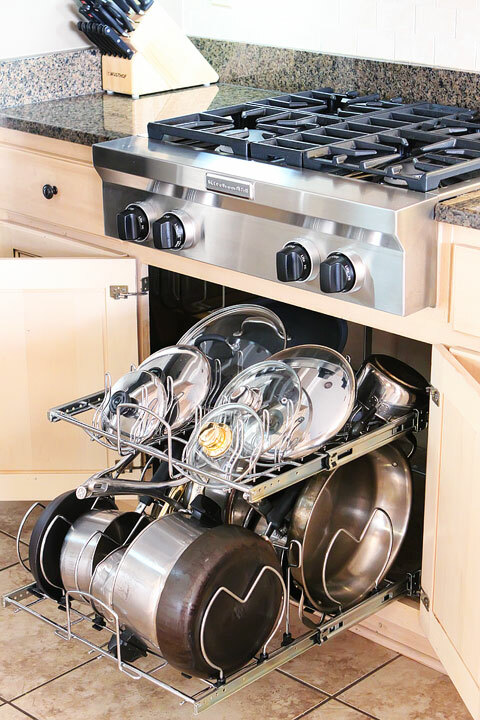 The dividers help in sorting out each of your pots and pans, making the most of your drawer’s space. 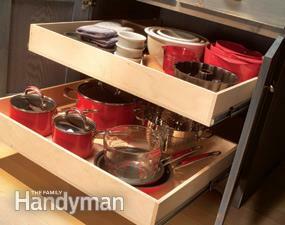 You can also add a tension rod to the drawers to hold the lids and keep them from occupying more space. 7. 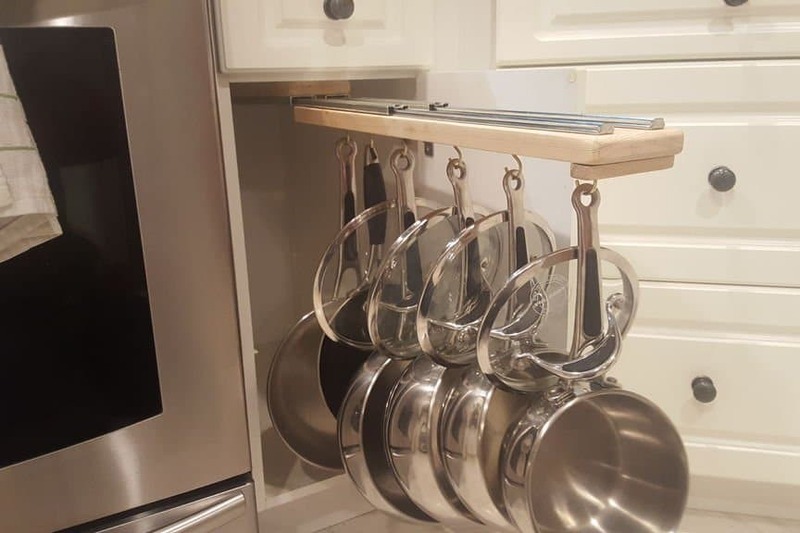 Install a sliding pot rack inside your cabinet. 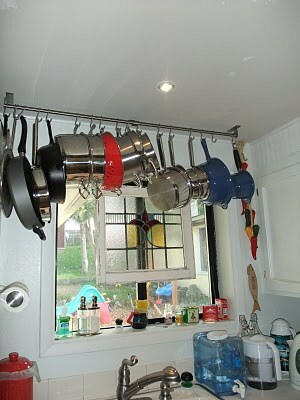 This is a great idea if you have a tall and narrow cabinet space. Simply let it glide out when you need a pan and when you need to return it already. 8. Invest in a roll-out organizer. The shelf below is wider, and the space gets narrower as you go up. So keep the bigger pots and pans below. 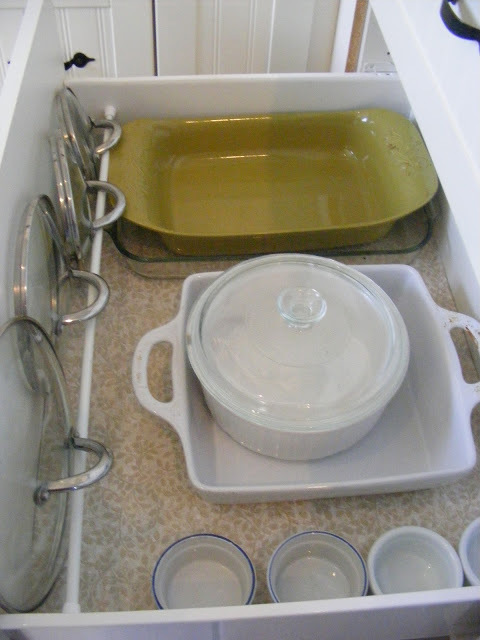 The smaller items, like saucepans and covers go on top. 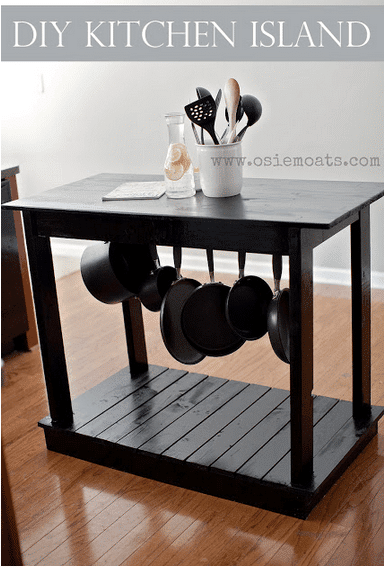 Or you may want to try this pull-out rack? 9. 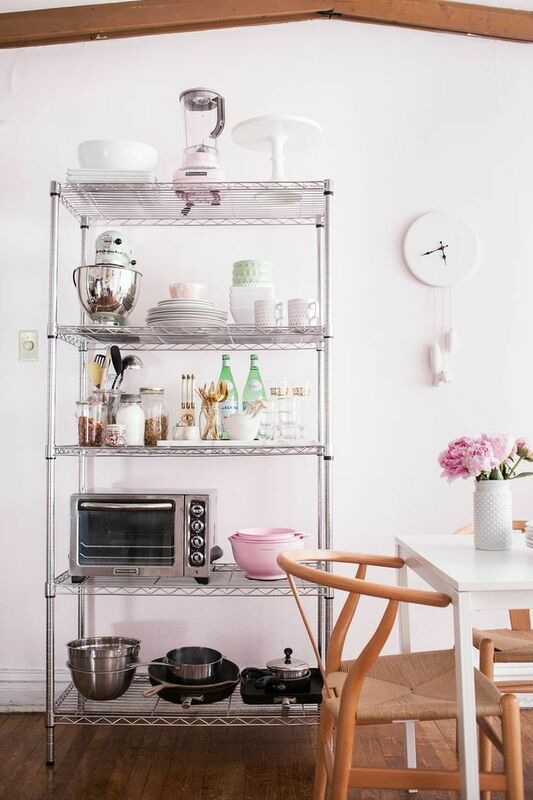 Try an open wire shelving. Place the pots and pans at the bottom. You may hesitate on this one because everything is exposed. But why not use that as a motivation to keep things organized and neat? 10. 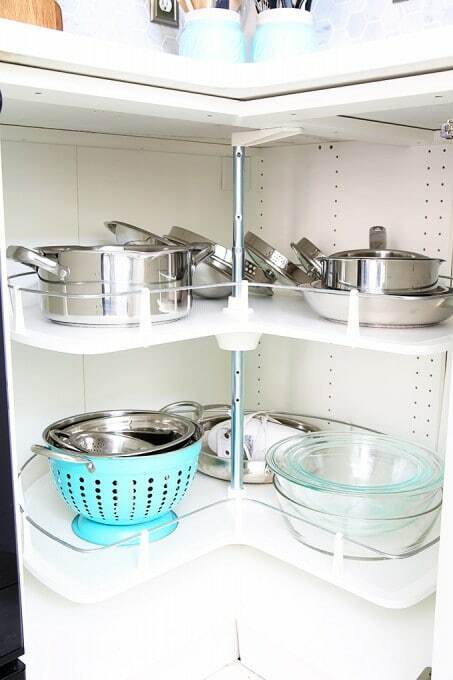 Get an adjustable bakeware organizer. This is very ideal if you are on a tight budget because it really doesn’t cost that much. Simply set your pots and pans side by side. 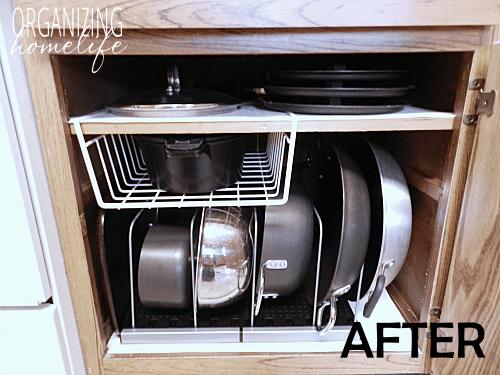 You can also remove and rearrange the dividers with ease to make wider spaces for your deep pots and pans. 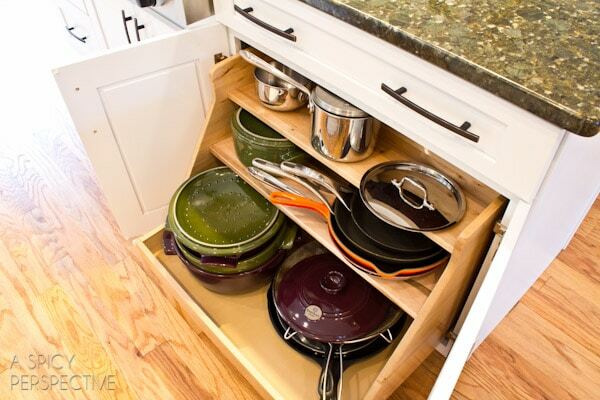 If you still have room for an under-the-shelf storage basket, you can add it for more space. 11. Hang it under your kitchen island. Okay that’s it! 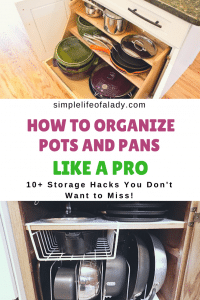 I hope I have given you some great ideas to finally get those pots and pans organized for real. For those that you don’t use often, you can still keep them in the back of the cupboard. But when it comes to those that you regularly use, you now have a clue on how to store them better for an easier access. How about you? 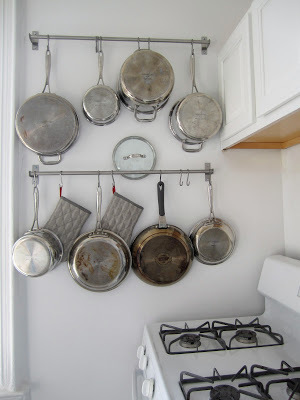 How do you store your pots and pans? Feel free to write in the comments! 51 SIMPLY AMAZING Small Space HACKS for your TINY BEDROOM! Found this article helpful? Take a second to PIN it. And thanks for caring! Hello there, You have done a fantastic job. I’ll certainly digg it and in my opinion recommend to my friends. I’m confident they’ll be benefited from this site. Thanks! Glad to be of help! whoah this blog is excellent i love reading your posts. Keep up the good work! You know, many people are looking around for this info, you can help them greatly. Thanks Bernard! Glad to help!